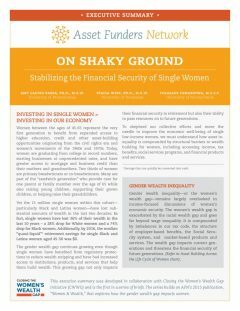 The economic fragility of single women 45-65 years of age is growing, states AFN’s report, On Shaky Ground: Stabilizing the Financial Security of Single Women, released in collaboration with Closing the Women’s Wealth Gap Initiative (CWWG). 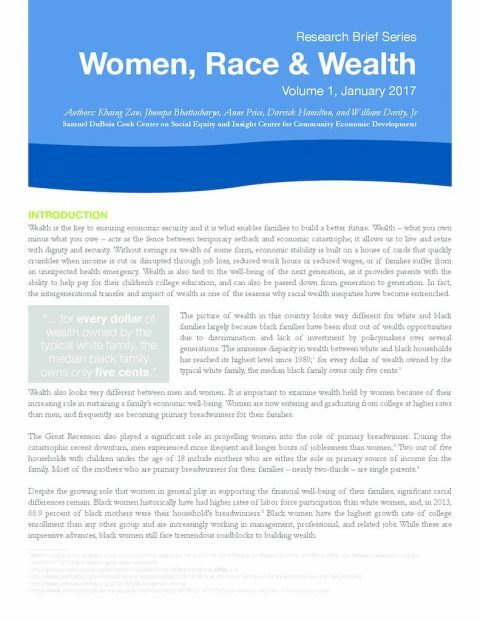 This report is the first in a series that builds off AFN’s 2015 publication, Women & Wealth, that explores how the gender wealth gap impacts women. 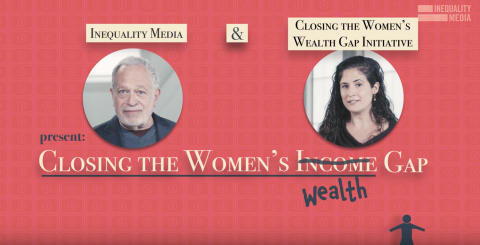 On Shaky Ground illustrates how the women’s wealth gap is exacerbated by the racial wealth gap and goes far beyond wage inequality. It is compounded by imbalances in the tax code, the structure of employer-based benefits, the Social Security system, and market-based products and services. This new report speaks to how the wealth gap is impacting current generations and threatens the financial security of future generations. 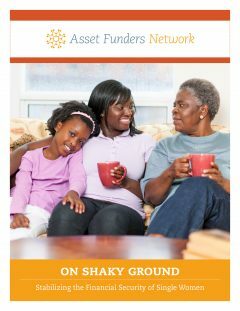 And while the economic fragility of women is threatening to families, communities and the national economy, On Shaky Ground provides investors an opportunity to influence and develop individual, community, and systemic interventions by supporting the single women who function as the financial backbone of their families and neighborhoods. 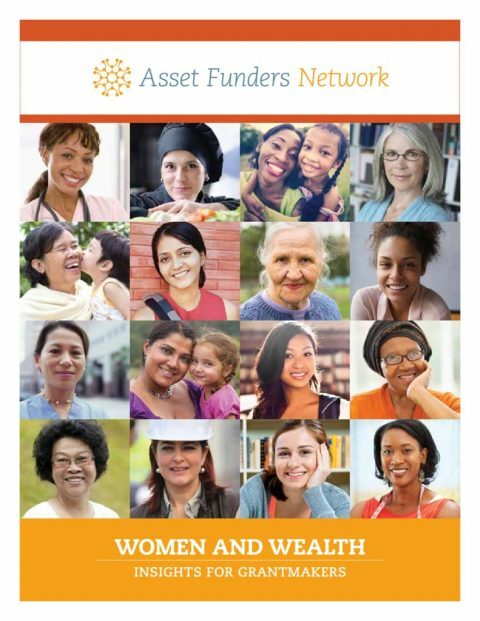 Stay tuned for AFN’s second brief in the series which will focus on the challenges, opportunities, and strategies to help millennial women build wealth. Lead funding for this series of briefs is made possible by a generous donation from the Dallas Women’s Foundation. Additional funding for On Shaky Ground was provided by AARP and the Chicago Foundation for Women. The opinions expressed in this report are those of AFN and CWWG and do not necessarily represent those of our sponsors.